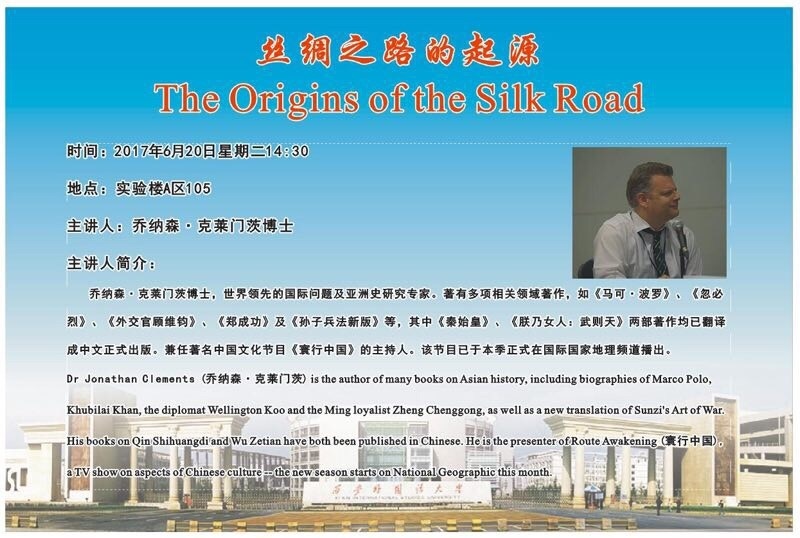 I’m speaking tomorrow at the Xi’an International Studies University about the origins of the Silk Road. A good place to be talking about it, as obviously the Silk Road starts in Xi’an…. or does it…? Romans on the Silk Road..? The Book of Later Han records an expedition by an emissary of Ban Chao who set out in AD 97 to assess the legendary empire in the furthest west, which the Chinese called Da Qin, ‘Great Qin.’ The name is odd, and has confused even Chinese commentators. It may be a garbled reference to a particular place in the Roman Empire, although it is not clear where. Fan Ye made the unlikely suggestion that the people of the exotic west were tall and honest, a bit like the people of the Chinese state of Qin. But the term may have carried a more ominous implication. In the days of the Warring States, before China was unified, Qin was the name of its westernmost territory – a martially-minded, hard-headed soldier state that eventually conquered all the others. In calling the Roman Empire ‘Great Qin’, Chinese chroniclers may have been alluding to a distant threat, further west even than Qin, but potentially even more powerful. The mission was thwarted partway, probably by wily Parthians who feared that an alliance between Rome and China would crush their own state, which lay between the empires. Instead, the explorer was told that Rome lay across a great sea that would take him three months to cross if he were lucky, or two years if the winds were against him. Perhaps some Parthian merchant hoped to sell him three years of provisions for such a great undertaking, although it seems more likely that he made it to somewhere on the Indian coast, perhaps the Parthian princedoms of Sind, where he received a garbled explanation of the need to wait for the monsoon winds. Whatever the reason, he turned back, reporting that in the west there were many ‘precious and marvellous things’, but he had not seen them. To help out a little, Fan Ye offered his own list of Roman marvels, which included shaven heads, crystal tableware (glass) and ‘kings who are not permanent’ but chosen from a list of the most worthy. If such reportage seems doubtful or outright apocryphal, we might forgive them for having no other information about particular parts of the world. Historians and novelists, for obvious reasons, are liable to get particularly animated about possible contacts between Romans and Chinese, although certain travellers claiming to have come from ‘Rome’ might have actually been chancers picking an unverifiable home address in their dealings with local potentates. Fan Ye, for example, also recorded that an embassy had supposedly arrived from Rome itself in AD 166. But reading between the lines of his account of these visitors from the ‘King of Great Qin’, everything starts to sound very suspicious. They claimed to have come from the land ruled by a man called Andun – if they meant Antoninus Pius, he had already been dead for several years, and had been succeeded by his adopted son Marcus Aurelius. Let us give them the benefit of the doubt, and assume that Andun is a garbled reference to the Antonine family. But these supposed ambassadors turned up far away from the Silk Road, on the coast of what is now Vietnam, and if they are the source of the Book of Later Han’s information on Rome, they seem to have known little more than the vaguest general facts about Syria and Egypt, and very little about Rome itself, which was apparently at the far end of a bridge that stretched for dozens of kilometres from Egypt. 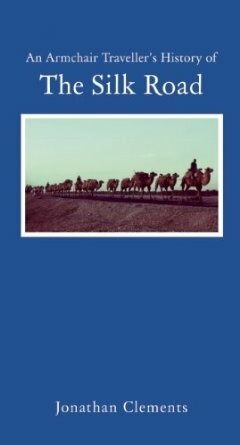 An Armchair Traveller’s History of the Silk Road by Jonathan Clements is available now in hardback and on the Kindle (US/UK). Dozens of writers have grappled with the way to best tell his story. Luckily for me, I only had to write a biography, which begins with his birth and ends with his death. For the writer of fiction, there are myriad temptations. I’ve toyed with a one-act play, in which Marco and his collaborator Rustichello pace the floor of their opulent but confining house arrest, arguing over the best way to set his knowledge down on paper. Marco is all about facts and descriptions, a tedious village-by-village account of the way east; Rustichello, a former troubadour and Crusader, wants stories of derring-do and fortean curiosities, and in one sense, it’s Rustichello’s Marco that survived through the ages. You could plump for Italo Calvino’s method, concentrating on the relationship between Marco and his patron, Khubilai Khan, as the aging monarch demands stories of Marco’s adventures. But what of the roads less travelled? What of Marco on his homeward route, escorting the mysterious Princess Kokachin to her doomed wedding, and plunged into local conflict in Persia and befriending his Muslim counterpart, Rashid al-Din? What of Marco the official in China under the Mongols, dealing with intrigues, crimes and murders in a nation under military occupation? 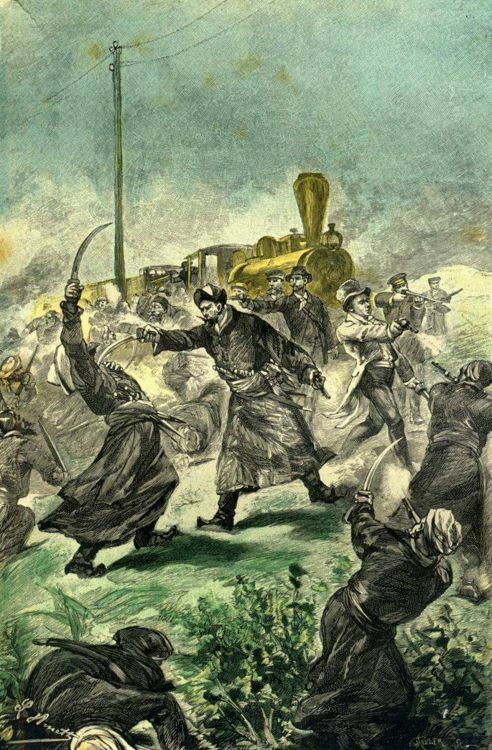 And what temptations there are to the historical screenwriter to edge gently out of evidence and into reasonable speculation – what if we ignored the evidence that Marco never saw Japan for himself, and inserted him into the Mongol fleet that suffered the consequences of the first Kamikaze. 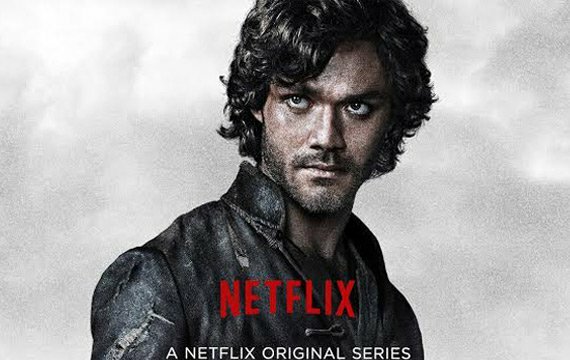 The new Netflix series tries and largely succeeds to have it all, opening with a prolonged throne-room scene in which Marco shows off his knowledge of Uyghur and Mongol, and in which the Polo family’s failure to keep their promises to the Khan lead to the effective handing over of Marco as collateral to save their trading contracts. But there are nods and foreshadowings, even in those opening few minutes, of the direction that John Fusco intends to take. Khubilai’s beloved wife Chabi, a Christian, stands at his side in her distinctive head-dress. An official called Ahmad is pointedly referenced, ahead of the downfall known to all readers of Marco Polo’s Travels. A lissom figure on the sidelines appears to be Princess Kokachin, thought by some to have been the woman who stole Marco’s heart, even as he was forced to convey her to her new husband. And then the credits begin, awash with impressionistic Chinese inks that create simulacra of his tallest tales – figures and creatures that may, or may not, only exist on paper or in his mind, even as the music soars and hints at Game-of-Thrones-y intrigues and Marco’s endless, infectious sense of wonder at the sights of the Far East. 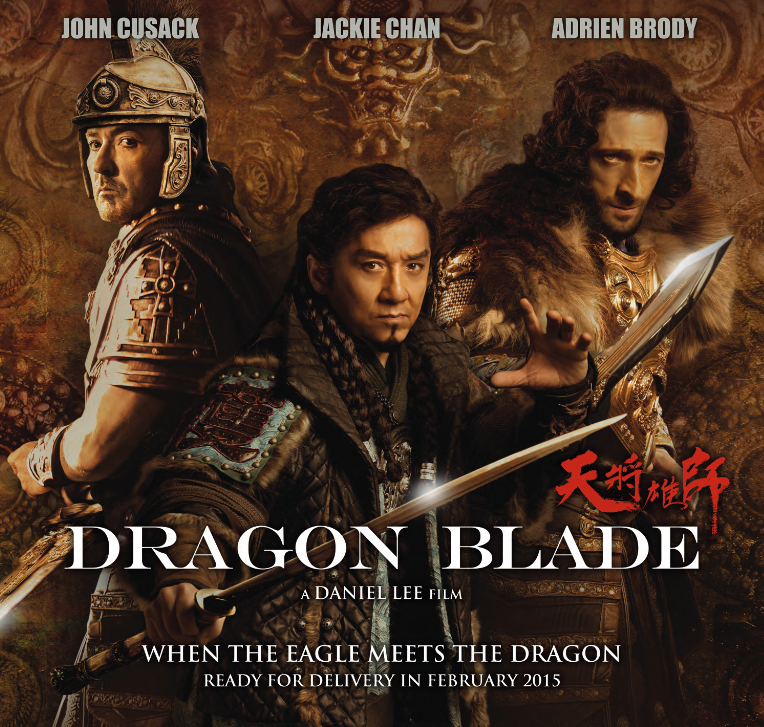 Jonathan Clements is the author of Marco Polo (US/UK) and A Brief History of Khubilai Khan (US/UK). 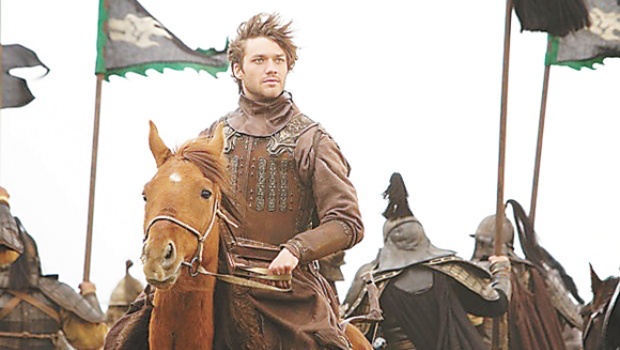 Marco Polo, the TV series, begins on Netflix on 12th December.